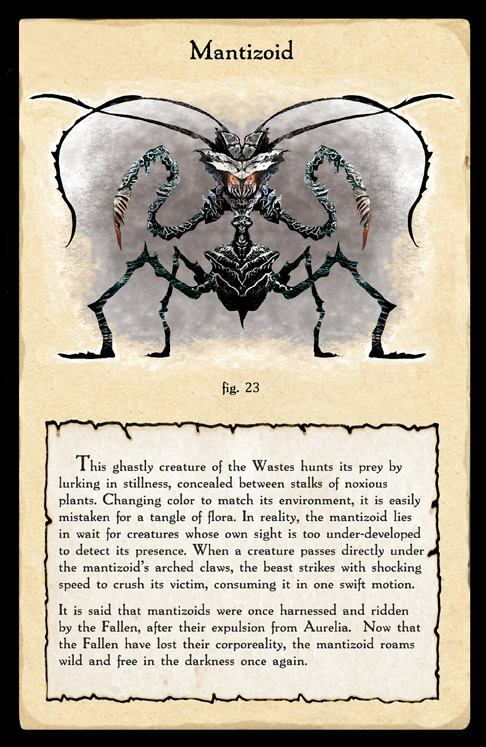 Today I’m pleased to formally announce the development of an Aurelia Bestiary: a compendium of monsters, machines, mutants, and mythic creatures that inhabit the City of Aurelia and her surrounding plains. This 32-page (comic-sized) volume features creatures from the original novel Rise of the Tiger, new additions from the show Aurelia: Edge of Darkness, and even a few never-before-seen horrors from Aurelia’s deepest, darkest mad science labs! Written as if by Aurelian scientist themselves, the Aurelia Bestiary will include original field notes, poetry, scientific analysis, and other fun tidbits in the style and tone of our infamous world-in-crisis. Aurelia Bestiary will be released by City Beast Studio, the sequential art and multimedia development cooperative I helm, along with my co-conspirators Terry Reed and Cole Norton. The release date has been set for the end of Aurelia’s current season: October 17th.